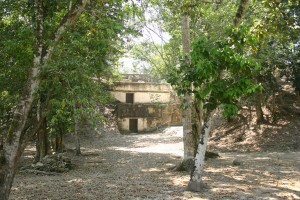 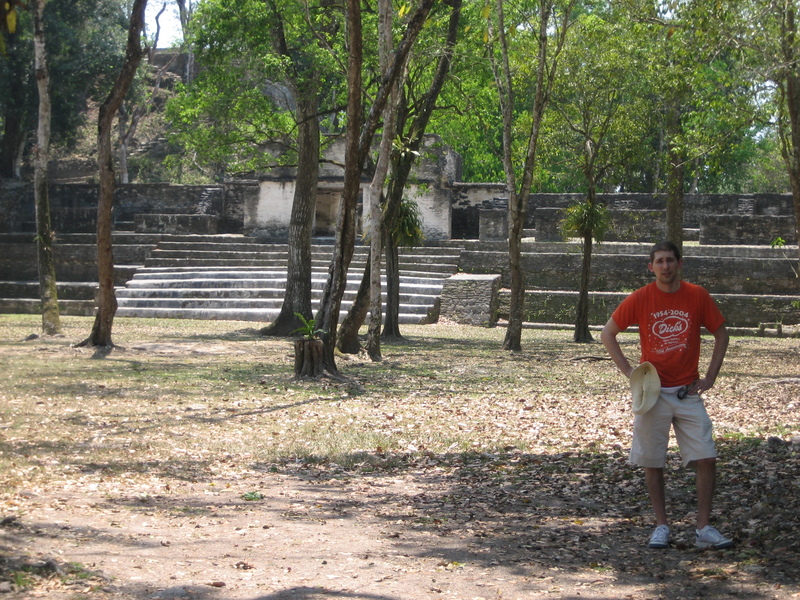 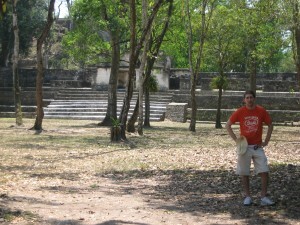 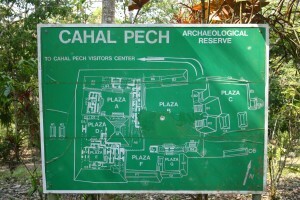 We decided to take a break from the scary vehicles and driving and hoof it to Cahal Pech on Tuesday (April 5th). 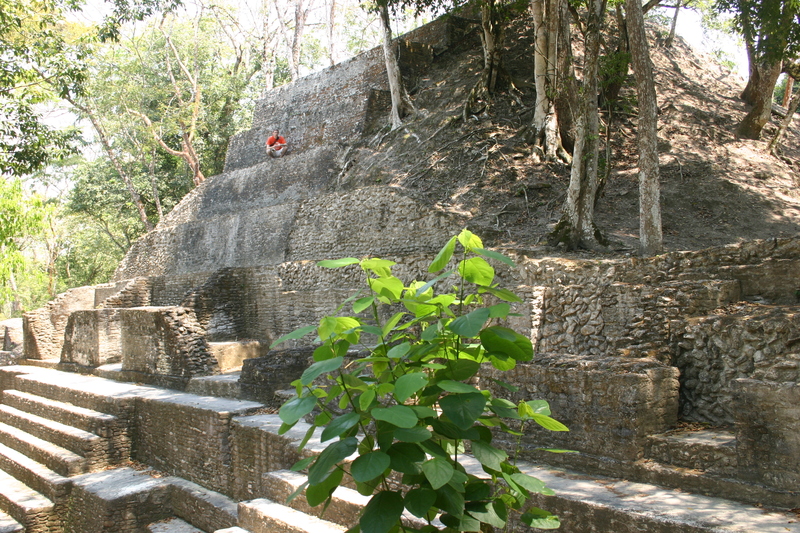 It’s the oldest known Maya site in the Belize River valley, and sits high on a hill about a mile and a half from our hotel. 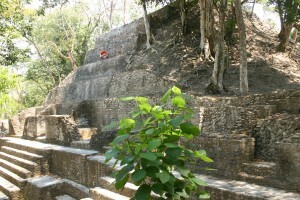 It turned out to be one of the best days on our trip, because of the simplicity of the day and the unique architecture of the ruins. 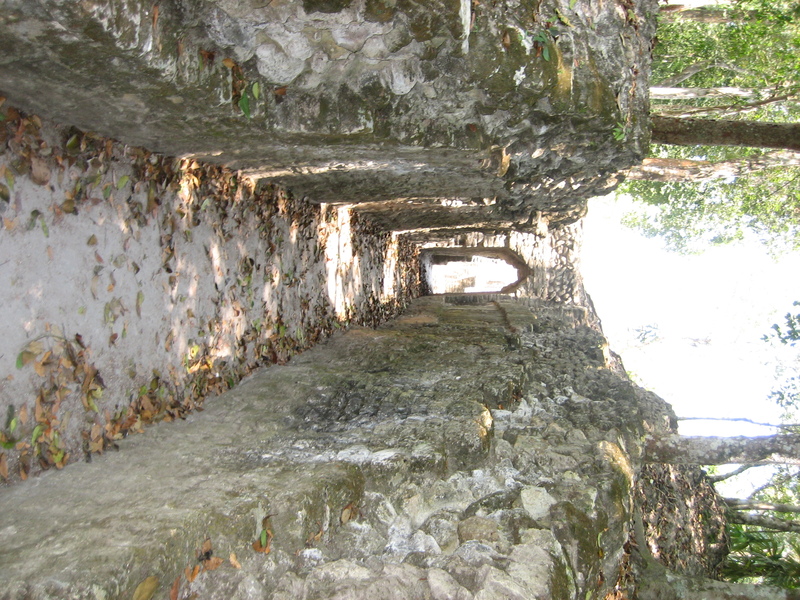 We finally had a chance to explore ruins at our own pace and spend time together – just the two of us. 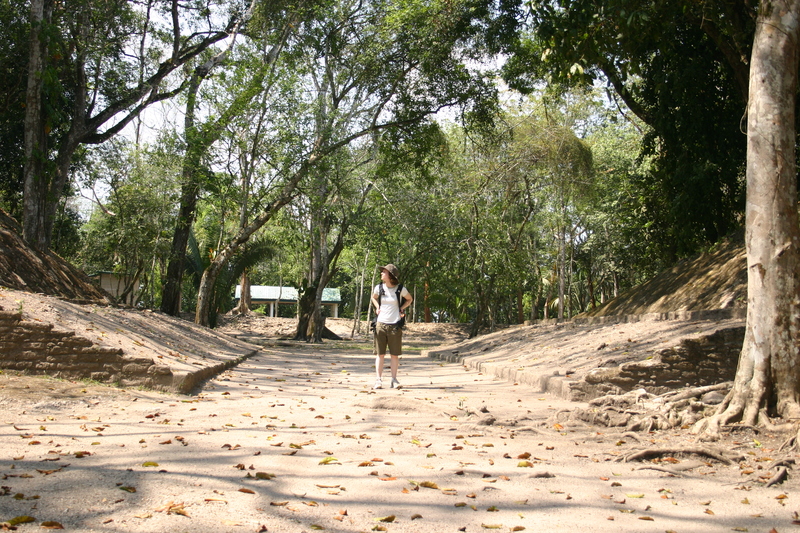 We only saw three other tourists while we were there, so we feel pretty lucky that we got the city to ourselves. 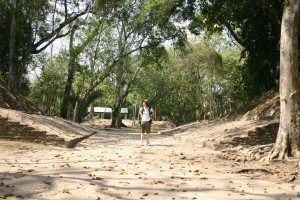 It was so peaceful. 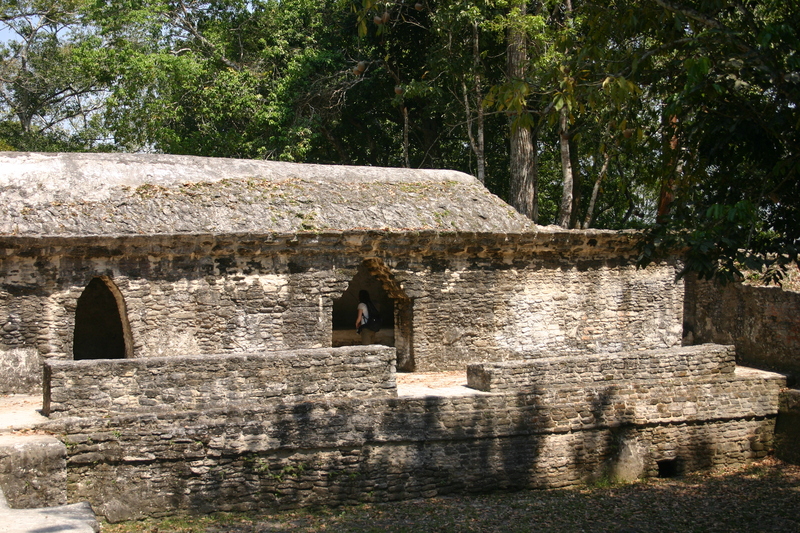 We started at the visitors center, looking at some Maya artifacts and reading about their civilization, then braved the scorching sun again. 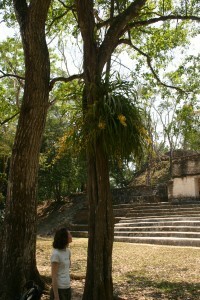 As we walked into the first large courtyard we were greeted by a lovely tree with delicate yellow orchids growing on it. 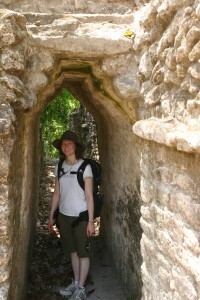 Orchids are common in Belize and Guatemala, but this was the first time we had see this particular species. 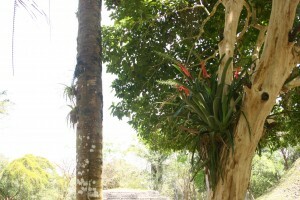 The other orchids that were in bloom had large red blossoms, unlike any we had ever seen before. 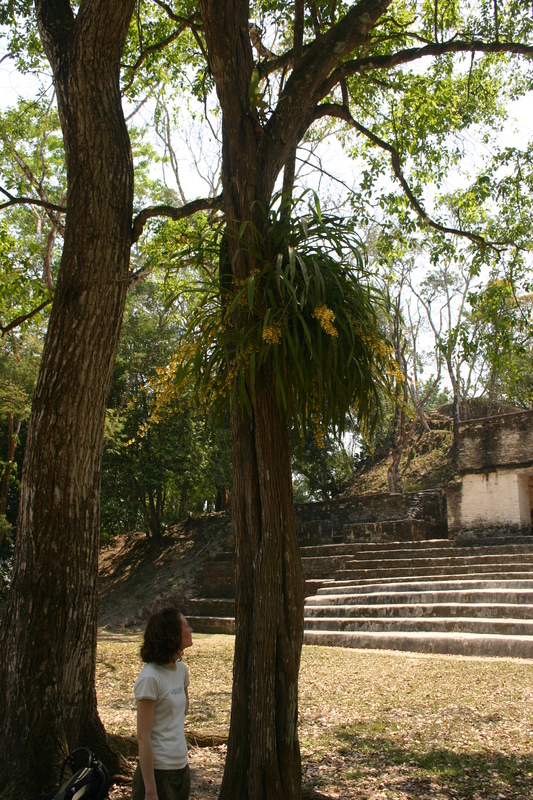 A tree with a yellow orchid growing on it. Close-up of the little yellow blossoms. 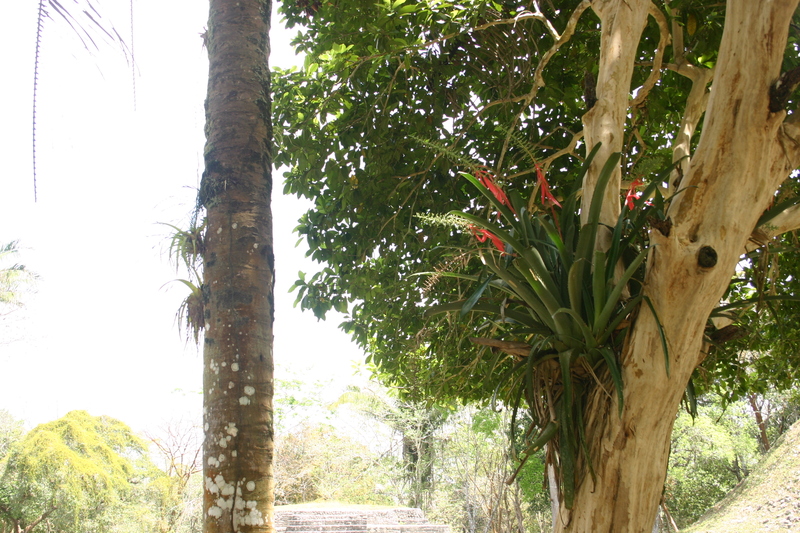 This is the species of orchid we saw all over the jungle. 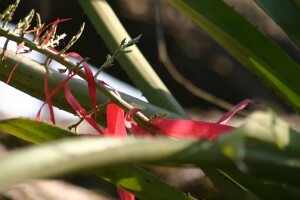 A close-up of the red orchid. 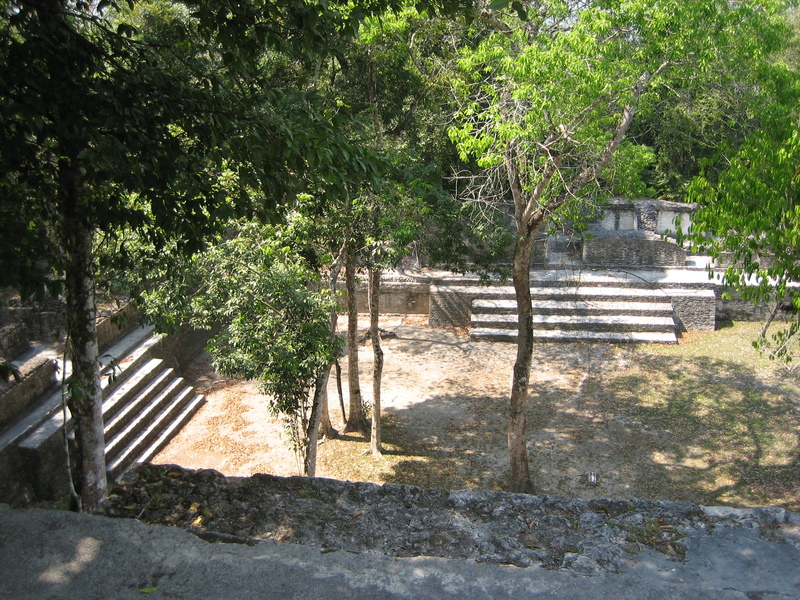 This was the first courtyard at Cahal Pech, where we found the yellow orchids. Bee is sitting near the top of the ruin. 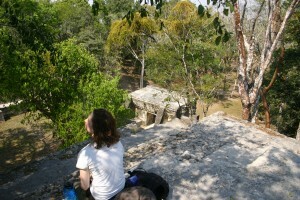 Enjoying a rare breeze on top of a ruin! 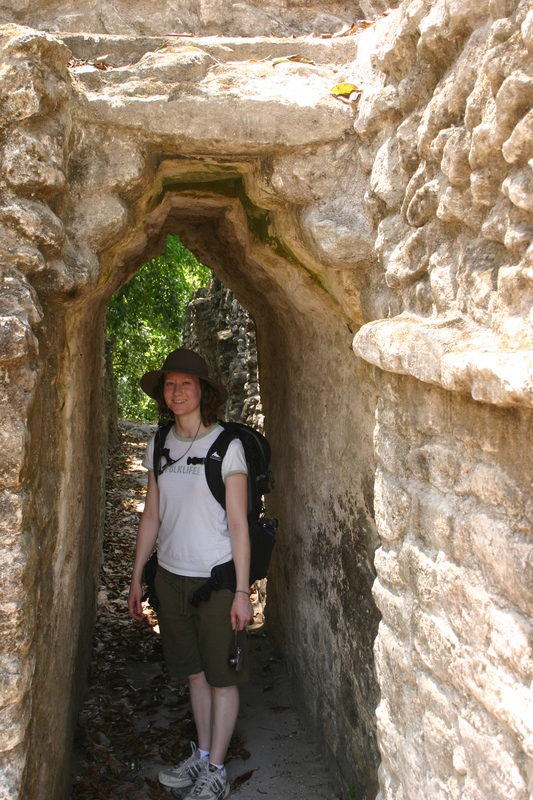 We liked the Maya arches they used for their doorways. They must have been fairly short people. Those steps were scary steep. 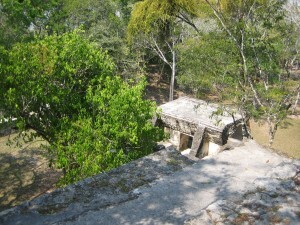 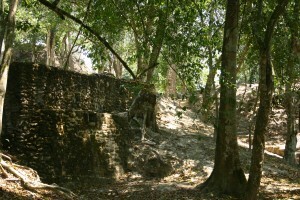 View of one of the plazas from the top of a ruin. 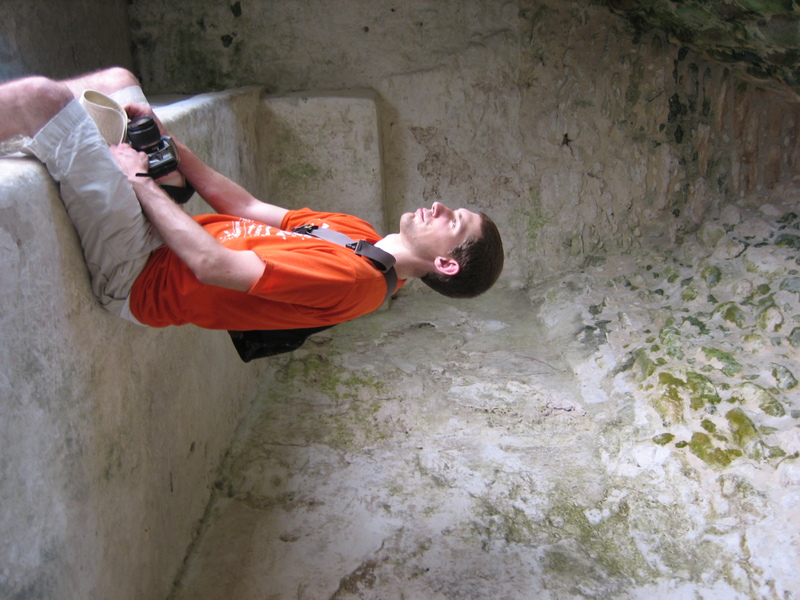 Curly checking out some mysterious rooms. 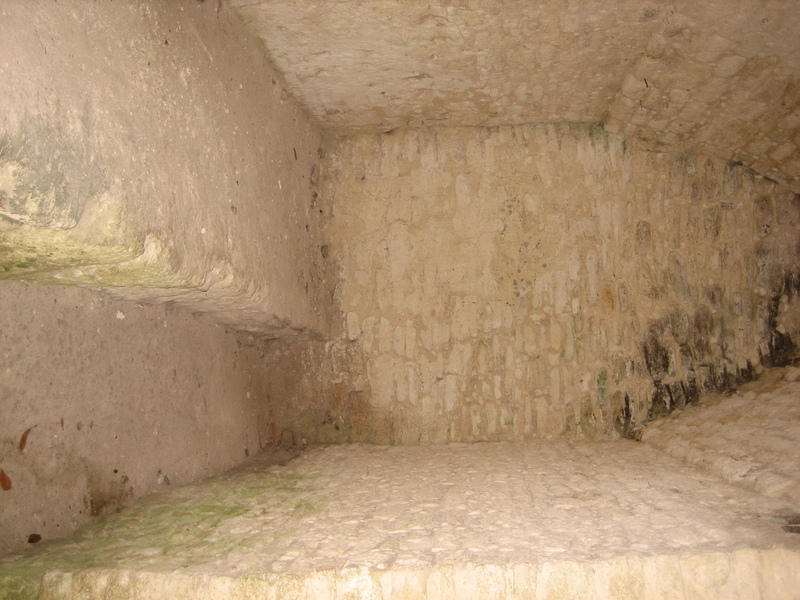 These kinds of rooms were in many of the Maya ruins. 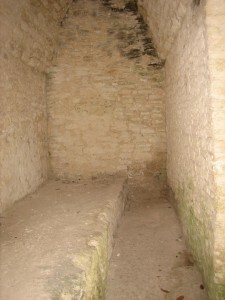 We wonder what they were used for. 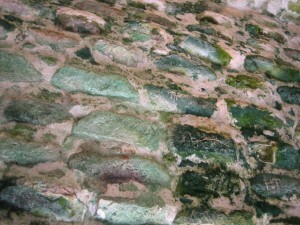 It was cool and damp in those little rooms, resulting in this spectacularly bright green mold. 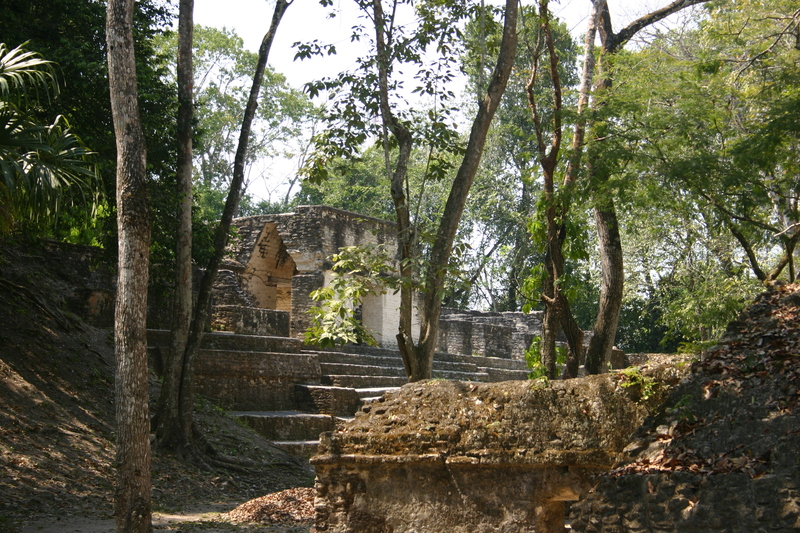 Bee thought this looked like the judgment seat, because from here you can see the plaza. 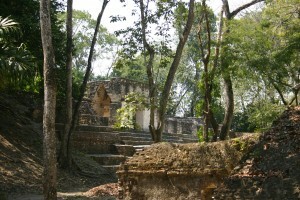 As is typical, a lot of the ruins are uncovered so the elements don't destroy them. We liked the ornamentation on these steps. 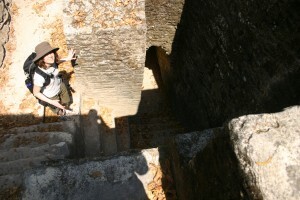 A large open walkway, with the lovely steps behind Bee (who is taking the picture). 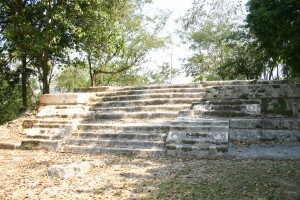 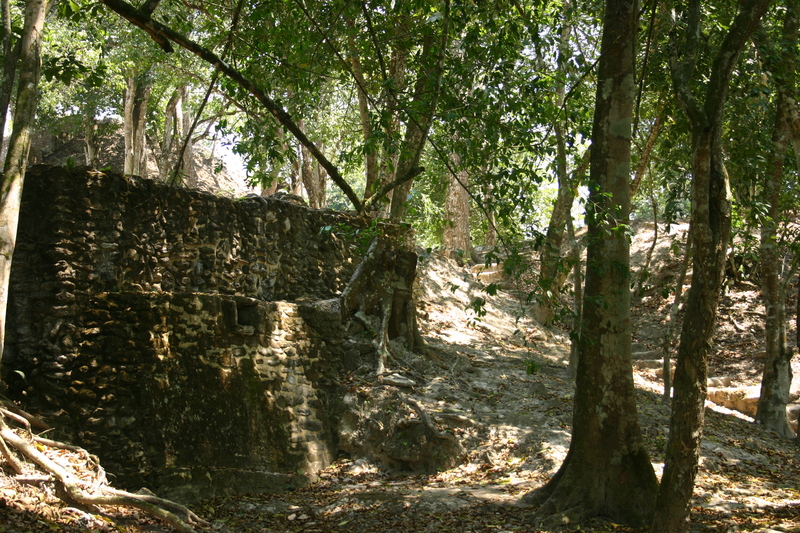 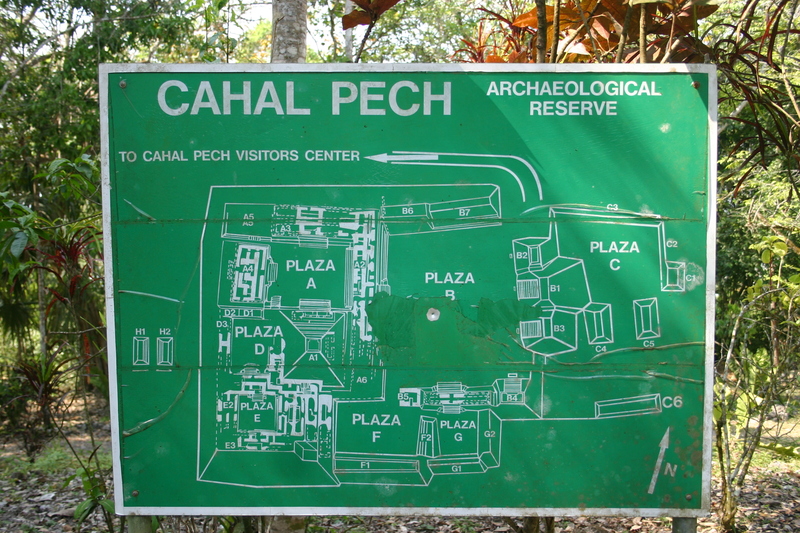 There were so many levels at Cahal Pech - one of the unique things about the site. It looked like they've done quite a bit of restoration work on this building. 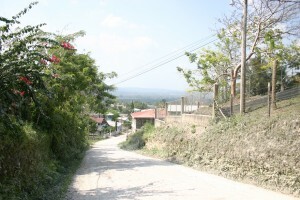 A view of San Ignacio from the top of the hill we hiked up to get to Cahal Pech. 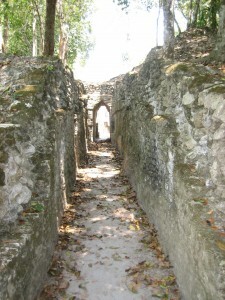 Would you believe that it took me this long to find your wonderful posts had been put up. 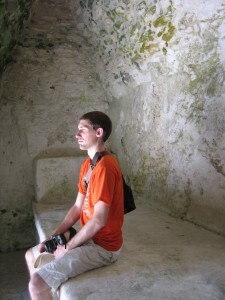 Love to hear about your trip and see the pictures. 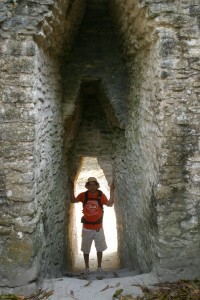 We just got the new Smithsonian magazine today and it has “Probing the Mysteries of the Maya” as the featured article. You will have to look through it the next time you come here. 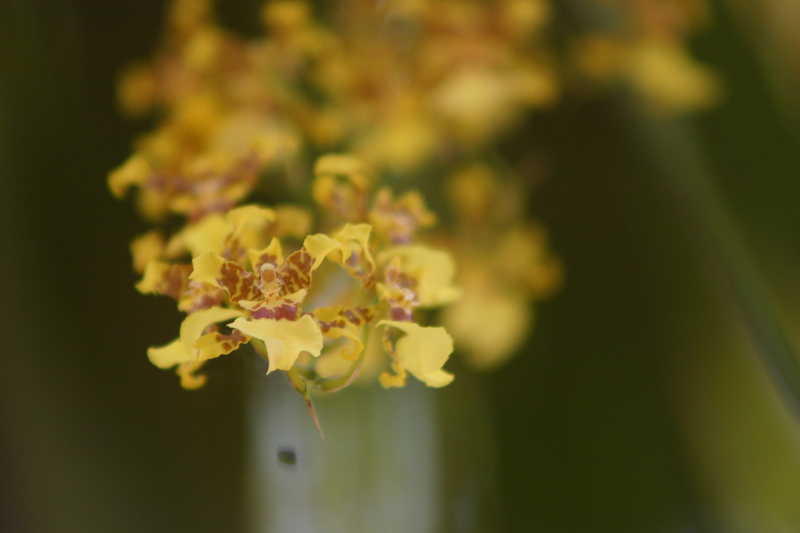 I think the yellow orchids you saw were what are called “dancing ladies” Oncidium Ampliatum native to Guatemala, Venezuela and Bolivia. 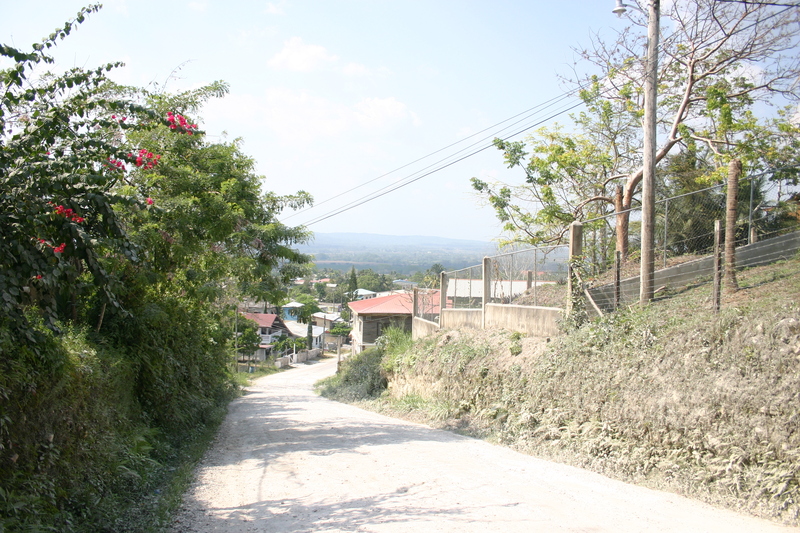 The flowers are about 1″ across and grow in long sprays up to 4 feet long.